So let me get this straight. A man of obvious guilt like McVeigh is tried by the government. All they have to do is keep their ducks in line. Simple right? Just follow the rules. Trial passes, McVeigh is convicted and sentenced to death. End of story. No. A perfect case, intentionally or not, has been spoiled by the FBI. Mistakes happen, and this could be one. In every other case, when the prosecution makes a mistake, when there is the slightest fault in the conviction, the execution is stayed until the truth can be sought. That's how our justice system works, erring on the side of discretion. McVeigh is contained and can hurt no one else, give his lawyers time to see the papers first, before we take his life. No. We will punish him because as one judge says, "we are not going to put the Federal Government on trial," and as the next court said "the FBI didn't withhold the papers intentionally." This, as much as I despise McVeigh, is a flagrant violation of this man's, and therfore all us citizen's, personal rights. To me, if the system can protect McVeigh, and render justice, then I will never have to fear. If the system can be subverted for one man, it can be subverted for all. McVeigh says he acted because the Federal Government would not take responsibility for mistakes at Waco. Now two sets of judges just said the Federal Government does not have to take responsibility for mistakes in this case. They have validated what he said. How many McVeighs have we just created? Dan, weeping for the death of due process. So you're upset because conservatives wanted to fry McVeigh fast while liberals were willing to stay his execution, investigate his case, and (if necessary) put the Federal government on trial? Welcome to the Democratic Party, Dan. Enjoy your stay. You'll find we're usually on the side of human rights, unlike your former buddies in the conservative ranks. Your suggestion that this case is exceptional, that it signals some sudden breakdown in our rights, is wrong. Courts have denied many recent appeals when there was much more than "the slightest fault in the conviction." Where have you been the last 20 years? Since Reagan started putting judges on the bench, our judicial system has routinely favored prosecutors over defendants in death-sentence cases. How many McVeighs have we just created? I'm not sure it matters since thousands are out there already. Most of them are conservative/libertarians like you. McVeigh wasn't about extending the right of due process to everyone. He was about arrogating due process to himself, with a gun or a bomb. If you need evidence of this behavior, look at all the Western NRA types willing to violate federal laws and attack federal officials to protect "their" land (actually, the public's land). These gun nuts are about one step from joining a militia and about two steps from destroying government property. Open your eyes and look at the logical consequences of your anti-government beliefs. 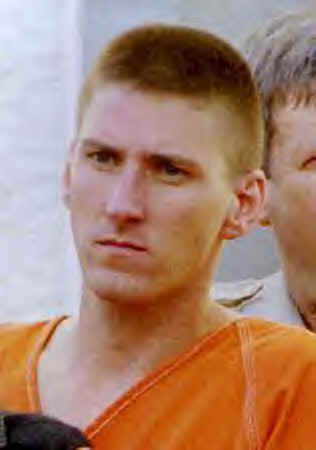 Tim McVeigh is the ultimate libertarian. You asked me once about the difference between anarchists on the left and right. Here's the difference. Radical left-wingers like Earth First! want to remove government so no one can own the land. Whether you agree with that goal or not, it's selfless. It benefits humanity but doesn't help the anarchists one iota, unless feeling good about themselves is their only personal goal. McVeigh's libertarian buddies want to remove government so they can own the land and do whatever they want with it. Which means mining it, grazing it, or clearcutting it so they can profit immensely from it. These right-wing anarchists are the polar opposite of left-wing anarchists. They care about nothing except their freedom...to ravage the earth as they see fit.